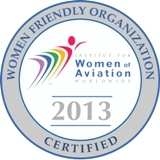 Admission to the International Women's Air & Space Museum is FREE! The museum office, gift shop (Click here for Gift Shop Return Policy) and Fay Gillis Wells Research Center are open Monday through Friday, 10:00 a.m. - 4:00 p.m. We are closed on most major holidays, with the exception of Labor Day. 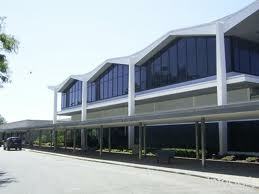 The museum is located in the terminal building at Burke Lakefront Airport right on Lake Erie in downtown Cleveland, Ohio. 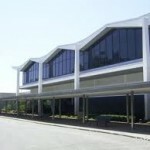 We are located near the Rock and Roll Hall of Fame and Museum, as well as the Great Lakes Science Center, the Steamship William G. Mather, and the U.S.S. Cod Submarine. From the South: Head north on I-71 N. Continue onto I-90 E. Take exit 174B to merge onto OH-2 W toward Lakewood. Take the E 9th St exit. Turn right onto E 9th St.Take the 1st right onto Marginal Rd. The museum will be on the left. From the East: Head southwest on OH-2 W. Merge onto I-90 W. Continue onto OH-2 W. Take the E 9th St exit. Turn right onto E 9th St. Take the 1st right to stay on N Marginal Rd. The museum will be on the left. From the West: Head northeast on I-480 E. Take exit 11 toward Cleveland. Merge onto Berea Fwy. Merge onto I-71 N. Continue onto I-90 E. Take exit 174B to merge onto OH-2 W toward Lakewood. Take the E 9th St exit. Turn right onto E 9th St. Take the 1st right onto Marginal Rd. The museum will be on the left. Turn left into the first driveway past the U.S.S. Cod Submarine Memorial & Museum. Turn into the municipal parking lot on the right (the International Women's Air & Space Museum does not own this parking lot and therefore is unable to administer parking validations). Parking is a flat rate of $6 (on average).